Meeja is a commercial real estate specialist with NAI Excel where she specializes in industrial, office, and retail properties. Meeja began her real estate career in 2003 after moving to St. George and joining Jason Griffith as a real estate business partner. Since then, she has been involved in thousands of real estate transactions. 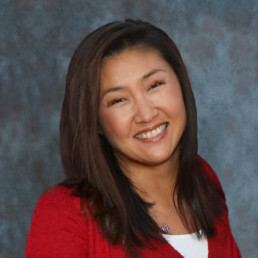 Meeja’s experience with commercial real estate development and construction began 11 years prior in 1992 where she worked as an inside sales representative for the Western region’s largest manufacturer representative of HVAC and air-distributing equipment. In that capacity, she attended and graduated from numerous manufacturer technical schools and was responsible for compiling large bids for general contractors to bid on multi-million dollar developments including the Conference Center in Salt Lake City. This sales and technical experience gave her a wealth of experience in working with clients and complicated transactions. Meeja’s attention to detail, professionalism, and customer service experience has added to what makes our NAI Team. Meeja’s business philosophy includes hard work, attention to detail, honesty, integrity, and working smart for our clients to assist them in their commercial real estate needs. Listening to clients needs, and following through on commitments, is the key to character and integrity. Sale of build to suite construction & leasing of Medical building off of Riverside Drive.